OTTAWA, Jan. 22, 2018 – The Canada Revenue Agency has reversed a controversial change to the way it assesses whether taxpayers suffering from Type 1 diabetes qualify for the disability tax credit (DTC). The Agency’s initial revision in May 2017 had drawn a sharp response from Diabetes Canada and other health groups who claimed too many deserving people were being shut out from access to the much needed DTC. The federal government spent most of the past summer “getting beaten up on tax issues,” elaborates Kingston, who believes the Liberals subsequently re-examined this issue in the face of public criticism and concluded it would be best to reverse their earlier position rather than continue to deny a critical tax credit to people with a chronic disease. Diabetes Canada claimed last fall that rates of allowances for the DTC for individuals with diabetes had plummeted. “We started to notice a change about June when a bunch of people started to contact Diabetes Canada saying ‘What’s happened?’ It started with some individual patients. But more clinics at that time were [also] really noticing a change in the trend. They were saying ‘we used to never get any of these applications returned/disallowed, and now they’re all coming back that way,’” Kimberley Hanson, director of federal affairs for Diabetes Canada in Ottawa, told Canadian Accountant last November. The CRA requires a certification from a medical doctor. Diabetes Canada provided Canadian Accountant with two CRA letters addressed to doctors – one dated May 1, 2017 and the second dated May 10 [with all names of doctors and patients redacted]. The May 10 letter contained more detailed questioning about whether the patient required 14 hours or more per week to manage their Type 1 diabetes life sustaining therapy. Diabetes Canada, along with representatives from the Canadian Medical Association, Canadian Nurses Association, Canadian Society of Endocrinology and Metabolism, JDRF (a global organization funding Type 1 diabetes research), and B.C. Diabetes, had co-signed a letter last fall outlining their concerns to Diane Lebouthillier, the minister of national revenue who oversees CRA. The CRA responded, noting recently that it would “return to using the pre-May 2017 clarification letter for Disability Tax Credit (DTC) applications related to Life-Sustaining Therapy” and "review the applications that have been denied since May 2017, for which the CRA relied on the revised clarification letter to determine eligibility to the DTC." “Overall we were very pleased to see the CRA acknowledging that a change had to be made back,” Hanson said in a more recent interview. “We were also very pleased to see them accept our request that they review all of the claims of people who had been denied since May, because it was clear that a change that they made to their internal procedures had effectively made it impossible for the vast majority of adults with Type 1 diabetes to be approved for the disability tax credit,” she added. However, Hanson notes the CRA reversal back to the pre-May 2017 clarification letter to assess eligibility for the DTC didn’t exclusively cover her organization’s concerns. Generally speaking, an application for the DTC contains an outline of the patient’s condition, certified by a doctor or nurse, which the CRA then reviews. The agency might then send a letter requesting clarification to the doctor. “That was happening more and more in the summer [of 2017] with regards to people with Type 1 diabetes. The doctor or nurse provided more information. It came back to the CRA for a further review, and then in the vast majority of cases was denied,” Hanson says. “I’ve talked to some doctor clients of mine, and they’re saying that they’re certainly getting more requests for additional information from CRA when they assist with the disability applications,” Kingston told Canadian Accountant last November. Had the problem only been with clarification letters, then that language from CRA’s press release “would have been great news,” says Hanson. “[But] what we saw from the result of an Access to Information request we made was that the change in interpretation language existed not only in those clarification letters, but also in guidance that CRA analysts must use when reviewing the applications,” she elaborates. So while Diabetes Canada’s initial response to CRA’s reverting back to the pre-May 2017 clarification letter for DTC applications was to be “very pleased that it marked a big step back in the right direction, we were a little bit nervous that … the CRA would hold back from making a full-fledged return to former approval practices,” says Hanson. However, she adds, Diabetes Canada has had positive indications that CRA will approve applications as they did in the past, citing awareness of at least a few dozen applications for the DTC by sufferers of Type 1 diabetes that were initially rejected under the new interpretation letter, that have subsequently been approved. CRA already had established criteria in place to process application requests and provide the DTC for individuals who had all sorts of disabilities. What suddenly changed that somebody who previously met the criteria did so no longer, asks Everett Colby, a principal with Colby McGeachy Professional Corporation in Almonte, Ont. “That kind of reversal just doesn’t make sense to me. I think it was a punitive measure to even consider. That DTC helps a lot of people be able to afford all of the equipment and supplies that they have to use,” Colby says. Tax policy is public policy, and the CRA should be able to announce why they did this, stresses Colby. 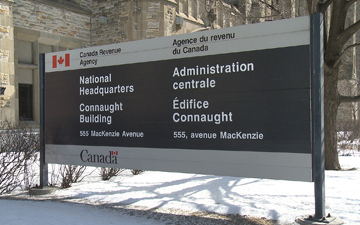 Tomorrow, the Canada Revenue Agency explains its decision. Jeff Buckstein, CPA, CGA, is an Ottawa-based business journalist.